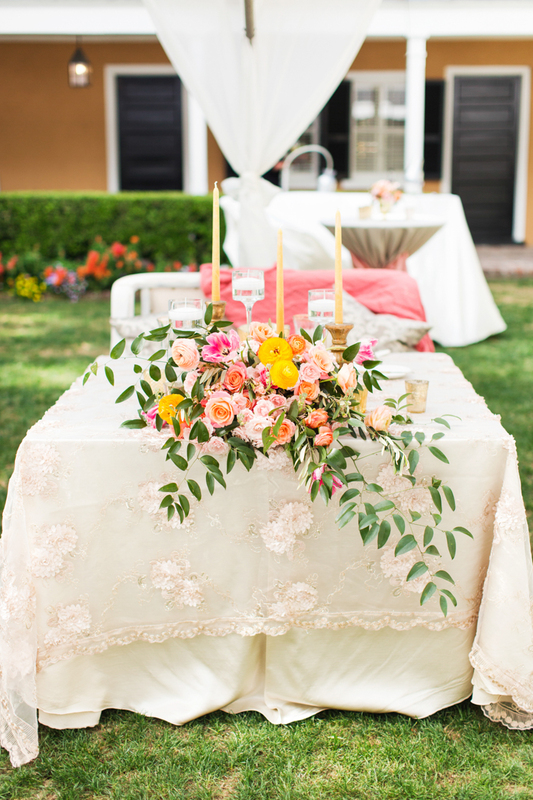 Maggie & Kevin had a beautiful fairytale wedding on April 16, at Gov. Thomas Bennett house in historic Charleston. 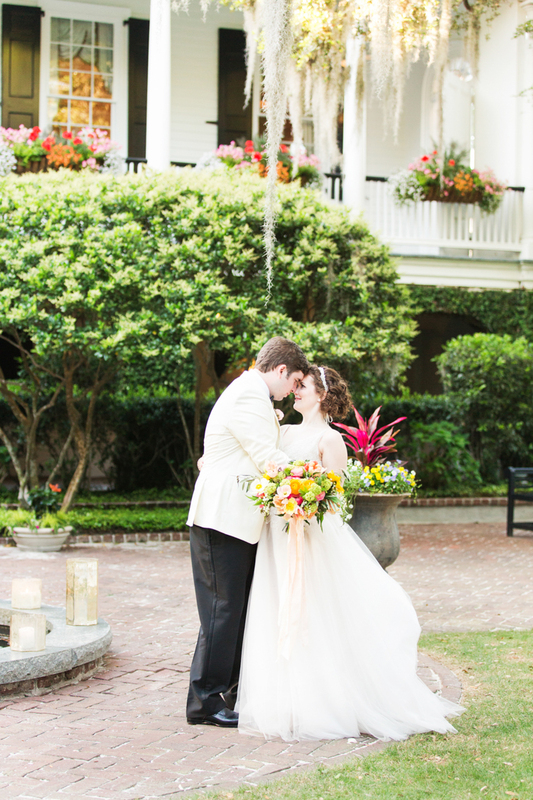 The couple chose Charleston for the destination wedding because they both share much love for the historic city, but also because Maggie had lived their for a summer during her internship with Charleston Weddings Magazine. 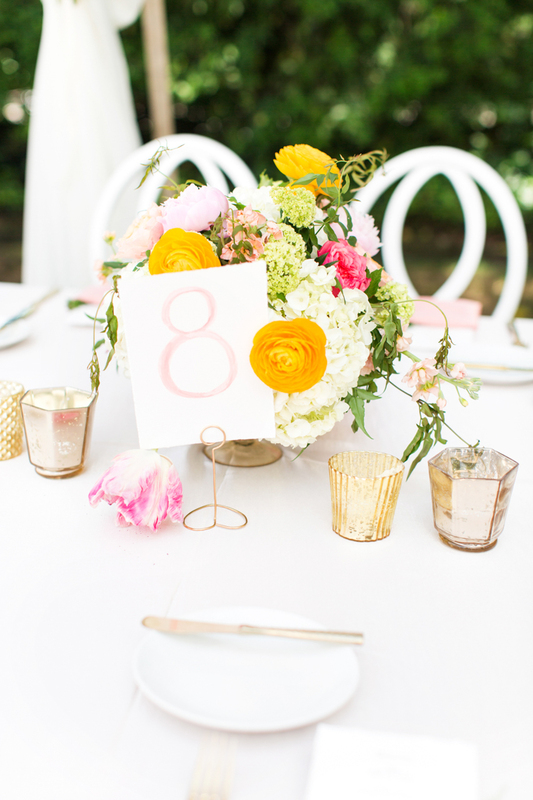 From the lush, bright colored florals from Branch Design to the amazing watercolor invitations the bride custom designed and pressed herself there and not to mention the "flower fetti" introduction to the reception, there was not one detail that did not complement her wedding theme! 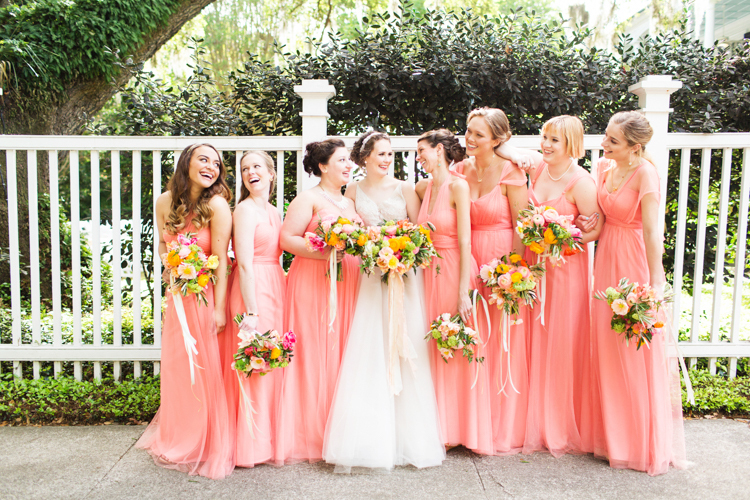 The bridesmaids wore convertible Jenny Yoo peachy gowns and carried whimsical flowy bouquets. 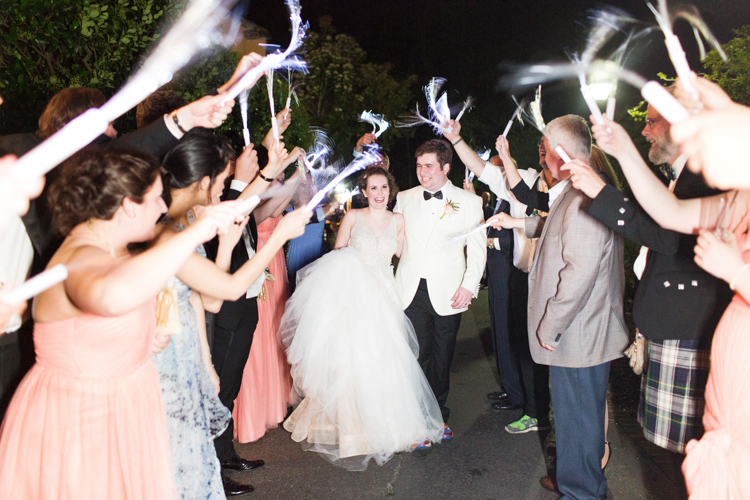 Maggie was stunning in her Monique Lhuillier gown with a custom monogram embroidered underneath. Her wedding day shoes were also a hit! These studded jeweled D&G pumps were a one of a kind and matched her gold accents throughout the wedding perfectly! While there are so many moments about their day that we love, I think our favorite was her time with her Grandma Rosemary before the ceremony. There time together was simply remarkable much like the love Maggie & Kevin share for each other. 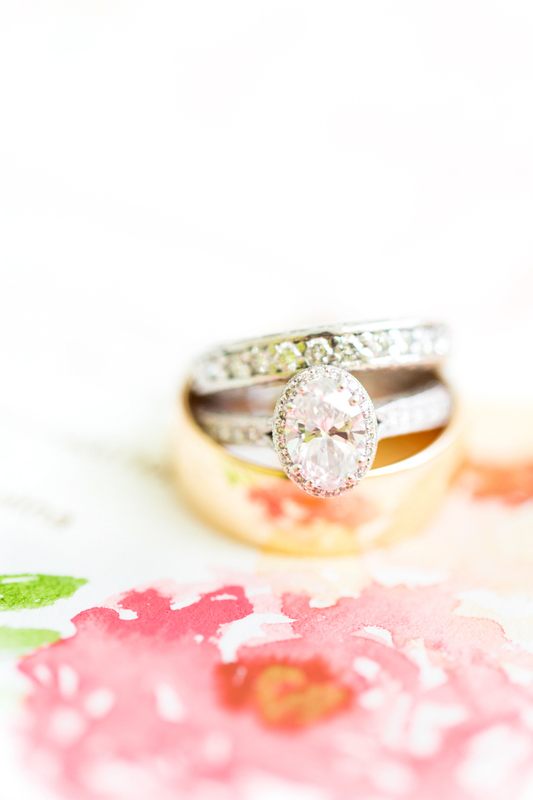 You can probably tell from the images both of them experienced sheer wedding bliss all during their ceremony and at the reception. When we asked the couple about their love story, Kevin replied with the following message which is so heart felt. 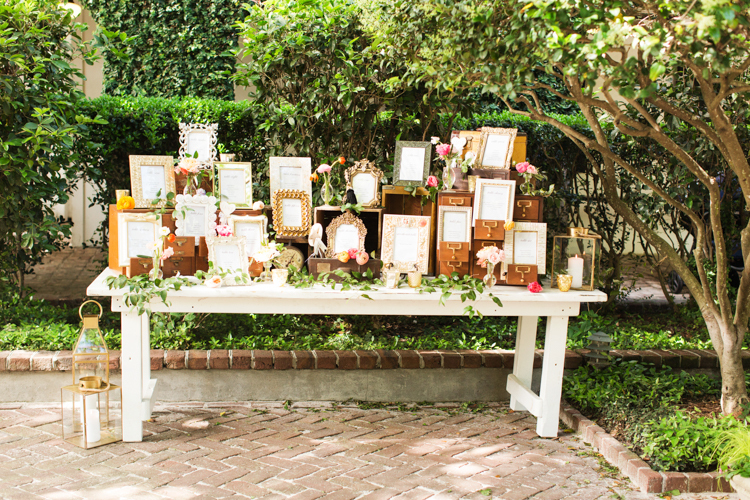 From the Groom: It was incredible. I met Maggie when I was in first grade before my family moved to Newtown. We were neighbors and friends growing up, and it was actually because of her family that we moved to Newtown. Her parents lived in Sandy Hook before they moved down to NC, and when my dad got the job in white plains Maggie's parents recommended we look at Newtown. I remember the night before we left NC it was Halloween and I was in Maggie's room with her and Sarah saying goodbye I can even remember her Pocahontas bed spread lol. We finally had the chance to see each other again after my parents moved back to NC. I drove down to visit her and we went to a movie with Alex Beerfest to be exact haha. After the movie while driving back in the car a song came on and Maggie said oh this brings up bad memories. My first thought was I don't want her to have bad memories. We stayed in touch over the years and things finally changed when I returned to NC for college. Although I will admit it may not have been fully because of me. I was always nervous to see Maggie because I didn't want to mess it up and I assumed she could not have a crush on me like I did her. However after a few failed attempts to see each other ie. Myself getting nervous and backing out. Maggie finally said enough is enough and texted me "Kevin how have we not hung out yet?? If you are in Raleigh again and we do not hang out we are not friends". She sent me this at 7pm but I didn't see it till 11 or so and I was worried she was going think I didn't care since it took so long to respond. When I finally responded she immediately sent a reply and we kept talking nonstop till about 430 am when she said "tell me a secret?" I said well it's now or never and I said I have always had a crush on you. Maggie responded "I have always had a crush on you". And that was it we haven't stopped talking to each other or being around each other since that first text to me she sent that night. I am so happy she was forward and took a chance. I cannot begin to explain how perfect the wedding day was. Maggie did an ENORMOUS amount of work for the wedding she is a graphic designer and she has a letterpress. So she took the time to do a lot by hand so it could be hers and it was incredible I helped along the way and I am still in awe of the final products she is so incredibly talented. It felt like our wedding was out of a movie.